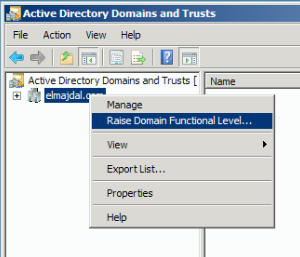 Functional levels determine the features of Active Directory Domain Services (AD DS) that are enabled in a domain or forest. 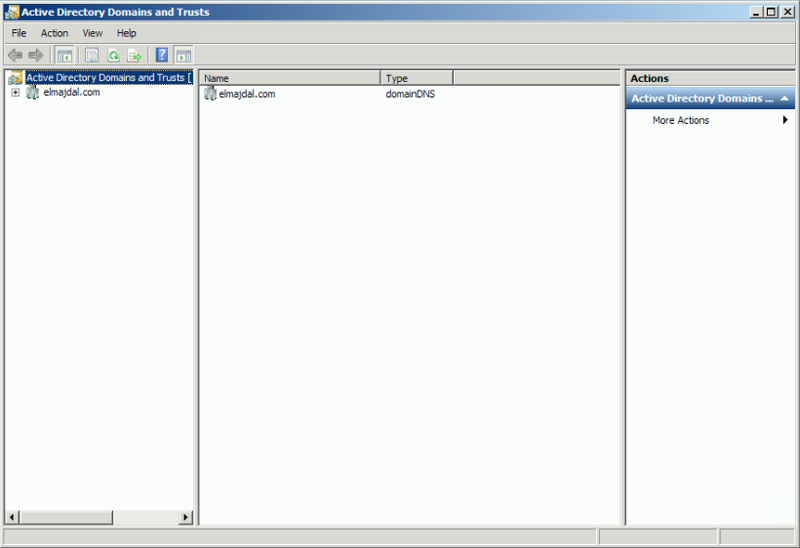 They also restrict which Windows Server operating systems can run on domain controllers in the domain or forest. 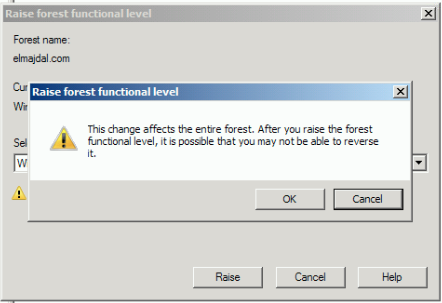 In this article, I will be showing you how to upgrade the Function Level of the Forest and Domain to a higher level. 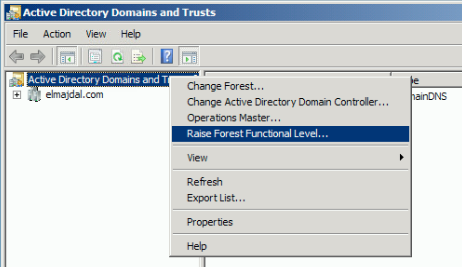 When you create a new domain or a new forest, set the domain and forest functional levels to the highest values that you know your environment can support. This way, you can take advantage of as many AD DS features as possible. The current forest functional level will be displayed along with the available functional levels that you can use for your forest level . 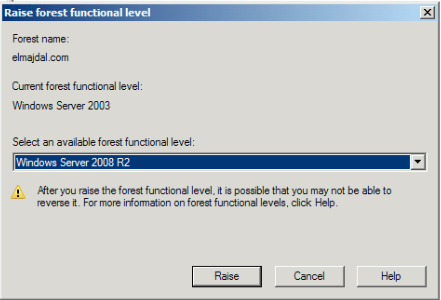 Note the following : After you set the forest functional level to a certain value, you cannot roll back or lower the forest functional level, with one exception: when you raise the forest functional level to Windows Server 2008 R2 and if Active Directory Recycle Bin is not enabled, you have the option of rolling the forest functional level back to Windows Server 2008. 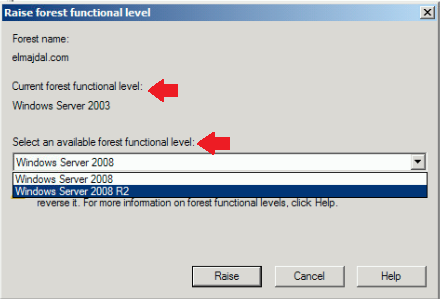 You can lower the forest functional level only from Windows Server 2008 R2 to Windows Server 2008, it cannot be rolled back to Windows Server 2003. The functional level raise will be successful, and the replication process will start between the Domain Controllers in the forest. 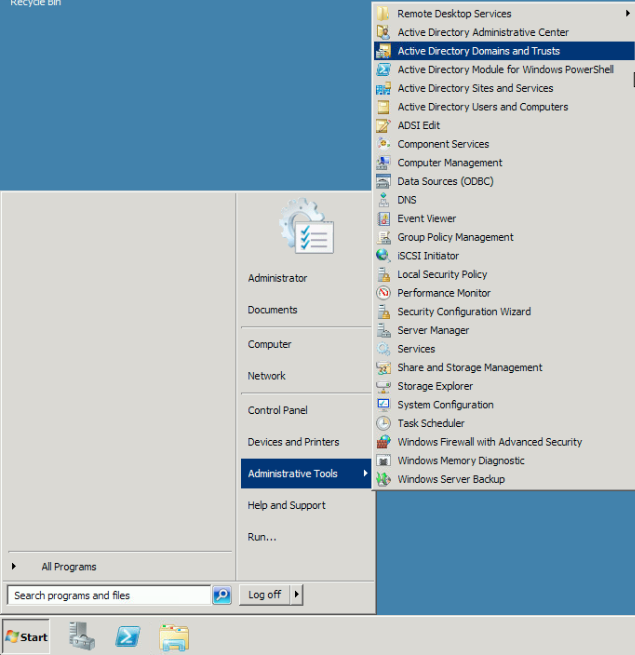 You will notice that you don't need to do anything here, as you already have raised the Forest Functional Level to the highest available level which is Windows Server 2008 R2. 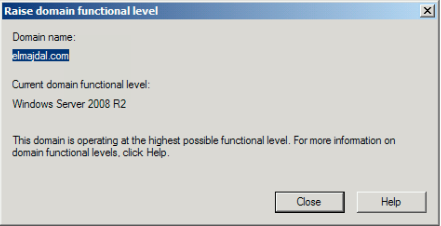 You cannot set the domain functional level to a value that is lower than the forest functional level. 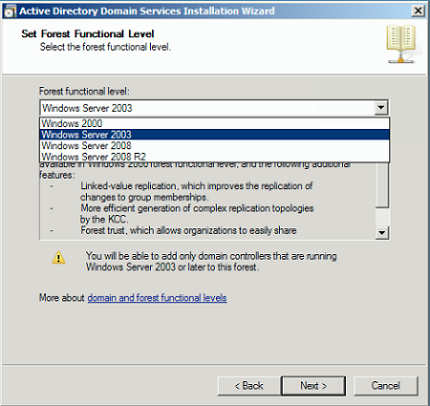 For example, if you set the forest functional level to Windows Server 2008 R2, you can set the domain functional level only to Windows Server 2008 R2. The Windows 2000, Windows Server 2003, and Windows Server 2008 domain functional level values will not be available on the Set domain functional level wizard page. In addition, all domains that you subsequently add to that forest will have the Windows Server 2008 R2 domain functional level by default. 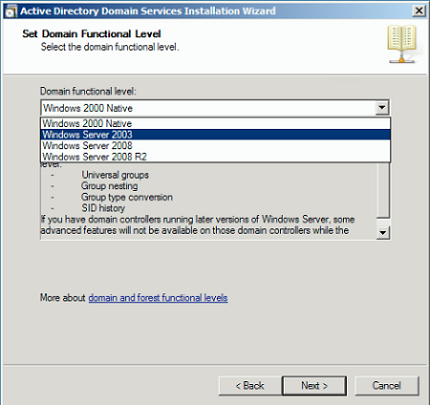 Note the following : You can lower the domain functional level only from Windows Server 2008 R2 to Windows Server 2008. 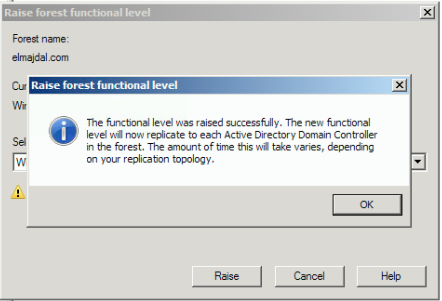 If the domain functional level is set to Windows Server 2008 R2, it cannot be rolled back, for example, to Windows Server 2003.